AUSTIN HAYES was one of the originals – a prototype player for the Irish passport loophole that would eventually define the Jack Charlton era. Few English-born players had turned out for the Republic of Ireland before Hayes. Mark Lawrenson was one, Gerry Peyton another, while there was also Brendan O’Callaghan, but Tony Grealish really set the benchmark. Like Grealish, the lesser-known Hayes played in a cup final in Wembley and, like Grealish, he was taken from his loved ones too soon. But unlike Grealish, Hayes’ story has been scarcely documented, perhaps because his international career only consisted of one cap. When Hayes’ 90-year-old mother Patsy – who was born in Theatre Lane, Limerick – wrote to me a number of weeks ago, asking if we could help find a picture of her son in his Ireland gear, I must admit I had never heard of him. But a quick scan through the fairly limited information on Hayes online was enough to convince me that this was a tale that needed to be brought to the public’s attention in what is the 30th anniversary year of his untimely death. Born in Hammersmith to Irish sweethearts and raised in Chiswick from 1958, there was nothing unusual about Hayes’ upbringing giving the influx of immigrants from the Emerald Isle to London at that time. In contrast, the career path of the pint-sized forward could be described as unorthodox. A product of Bob Higgins’ London Selection Centre, Hayes signed for Southampton as a 15-year-old and made his competitive debut against Northern Irish side Carrick Rangers a month before his 18th birthday in 1976. 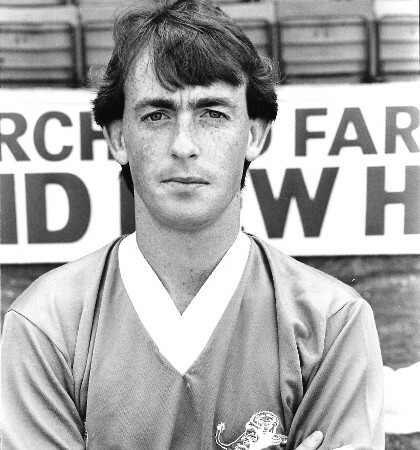 The home leg of the Cup Winners’ Cup tie allowed him to endear himself to The Dell faithful, scoring two goals on the night, while his close friend and room-mate Steve Williams also netted in the 4-1 win. However, shortly after Hayes turned 19, Southampton had shipped him out on loan to the old LA Aztecs team, who were part of the North American Soccer League (NASL), the then equivalent of Major League Soccer (MLS). The move was an unusual one for a teenager. American soccer had become a luxury pre-retirement home for legends of the game, much as it still is in its current form. Not that Hayes was complaining mind you, although he did have to ring his mother and ask her to send him out some sun cream. “When they sent him over there for a little loan period he was thrilled to bits,” said Hayes’ brother Tony, two years his junior. 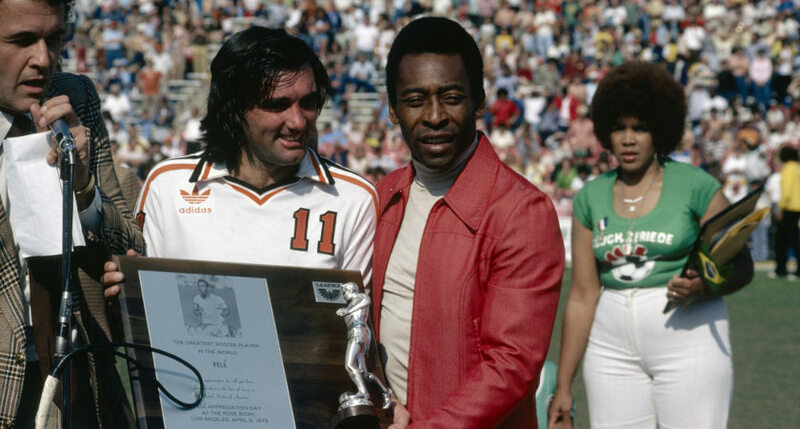 The ones who did go were usually pretty recognisable though, none more so than George Best, whose second spell with the Aztecs coincided with Hayes’ loan move. “I don’t think they were ever in the side at the same time, they were always chopping and changing the team,” recalls Tony. “So they didn’t cross paths too often, but they were both at the club at the same time, that’s for sure. Former Scotland international Charlie Cooke was also there at that time, while the late, great Johan Cruyff arrived a year later. 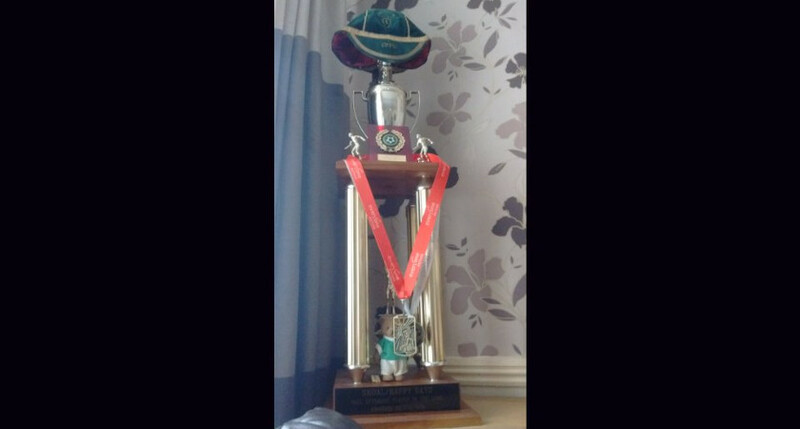 Upon entering the Hayes’ distinctly Irish family home in Staines, the most striking piece of memorabilia – or any decoration for that matter – is a Man of the Match award for Austin’s two-goal performance for the Aztecs against San Jose Earthquakes. True to American form, it’s enormous – you wouldn’t get one for Player of the Season as big as it on this side of the Atlantic. Off the top of the trophy dangles Hayes’ actual international cap, a priceless heirloom. He earned that Man of the Match award after coming off the bench to bag a delightful brace, a pair of goals the family had read about but never seen, until Tony’s persistent search finally paid off. “And then one day, finally, I got this e-mail back. This guy in the USA said he had a video of the game of Austin against San Jose Earthquakes. ‘It’s a bit dodgy’ he said, ‘but it works’. What ensued was an anxious wait for a huge favour from a total stranger, but the Good Samaritan stuck to his word. 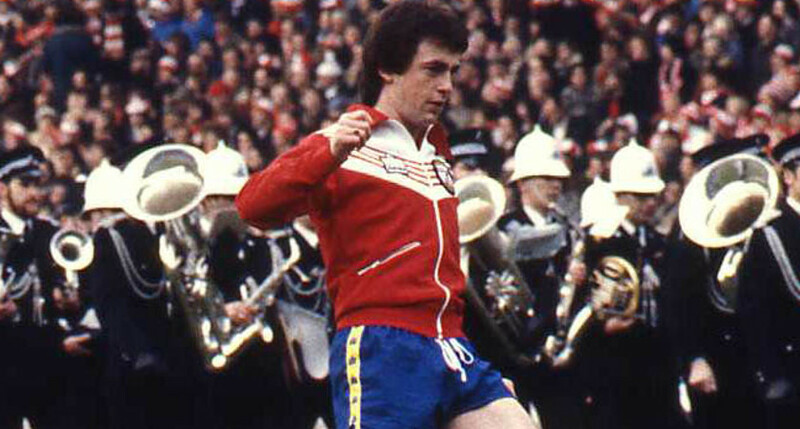 After featuring in over 20 games out in America, Hayes returned to Southampton and 1979 would become the finest year of his career. At a time when double Ballon d'Or winner Kevin Keegan was making a mockery of the notion that short players couldn’t cut it in the game, 5ft 5in Hayes was doing likewise on a smaller stage. Lawrie McMenemy, then Southampton manager, saw something in the youngster, handing him a start in the League Cup final on St Patrick’s Day, 1979. Southampton lost 3-2 to Nottingham Forest, but Hayes played 83 minutes before being replaced by his good friend Tony Sealy. “I’ll never forget watching that game,” his brother recalls. “They were a goal down and I remember Terry Curran going down the wing, and my brother was around the penalty spot. Although defeat at Wembley was tough, Hayes had been thrust into the limelight, and within two months Republic of Ireland player-manager Johnny Giles – who played against him in the US during his time with Philadelphia Fury – called Hayes up to the national squad for a competitive qualifier with Denmark in Dublin. Much like he endeared himself to the Southampton fans with his feet on his debut, Hayes was making all the right noises ahead of the biggest moment of his career. Giles, meanwhile, told the sceptical press that Hayes would “link up the attack with great effect” before knocking back questions about his physical ability. “He may be small, but he’s nippy and he comes off centre-halves very well and uses the ball well,” said Giles. The aforementioned Gerry Peyton was making his competitive debut in the Irish goal and was a “bag of nerves” in the opening half, according to former Irish Press journalist Mel Moffatt. No such nerves overcame Hayes though, with Moffatt describing “one magical moment when he crossed beautifully from the right for [Gerry] Daly to score in the 44th minute” at the end of a tricky half for Ireland. Not a bad contribution for a 20-year-old who had only set foot in the country for the first time a matter of days earlier. Hayes was substituted just after the hour mark and replaced with Mickey Walsh – another one of the original English-born crew – and Daly would go on to take the plaudits having set up Don Givens for Ireland’s second in the 2-0 win. After returning to his club to compete for places with former England internationals Charlie George and Phil Boyer, plus Keegan himself as of February 1980, Hayes soon found game time difficult to come by with Southampton in the old First Division. A move to Millwall materialised in February 1981, with the Lions paying a reported £50,000 for his services. Since Millwall were a Division Three side at the time, the move will have done Hayes’ international career little good due to a lack of exposure. He spent two years at The Den before dropping down another division to join Northampton in a transfer deal that involved a car. Ironically, it was an old model manufactured by Austin. “The press picked up on it and so that’s where the ‘Mini Austin’ headlines came from,” recalled an amused Tony, showcasing streams of newspaper clippings and pictures from his brother’s career. Two fairly prolific years passed at Northampton before Hayes was on the move again, this time a short loan move to Barnet towards the end of his contract with the Cobblers. Having richly enjoyed his time overseas with the Aztecs earlier in his career, a rare opportunity to ply his trade abroad once more proved too tempting for the London-Irishman, who by 1986 had fallen way out of the international reckoning just as Charlton was about to shake things up. Swedish outfit Friska Viljor FC came calling, so Hayes duly accepted the fresh challenge of competing in a summer league in Scandinavia. “He was between clubs, as they say, and they just came in,” said Tony of the unexpected approach. “When he came back, I remember the side of his face was all puffed out and bruised. He said he went up for a header and clashed heads. Devastatingly, Hayes was diagnosed with lung cancer, and his family were left helpless as his condition worsened so rapidly that he had passed within a matter of weeks of the diagnosis. “The crazy thing about it is that it was just such a short period of time. The quick demise was just incredible,” said Tony. “It was literally six weeks from that incident to him passing away. Even to this day we’re still not 100 per cent sure how and why it happened. With the father of the house, Cecil Hayes of Limerick, having passed a year earlier, the family were forced to come to terms with tragedy yet again as Austin passed away on December 3, 1986. Ever since then, his mother Patsy had been longing to see her son in the kit of her beloved Ireland. “She’s been on about it for a long, long time and I’ve been trying and trying and trying,” said Tony, who has amassed an incredible amount of archive material on his brother’s career. “When you replied to her letter, she freaked out,” he told me. “Because she knew there was still a chance. She felt more comfortable that you’d have a better chance of finding the picture than I would. And yet we might not be done here – Tony is convinced more images must exist. 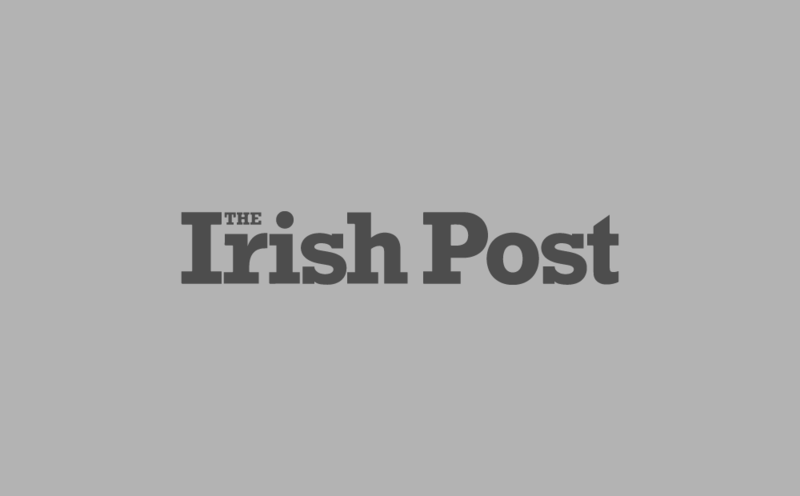 And he could be right, because as well as veteran English sports photographer Bob Thomas, who took the portrait picture, Irishmen Cyril Byrne and Pat Cashman each provided images for Irish national newspapers following the Lansdowne Road encounter. With three professional photographers there on the day, a team shot must exist somewhere, while the best case scenario would be to locate an action shot of Hayes from the game. Come what may, the Hayes family are incredibly proud of their boy, who defied belief in making it as a pro when no one believed his small stature would allow him to. “When you think about that notion now, I mean, look at Lionel Messi. But to do what Austin did in that day and age at only 5ft 5 was a real achievement, and he worked hard for it, he really did. 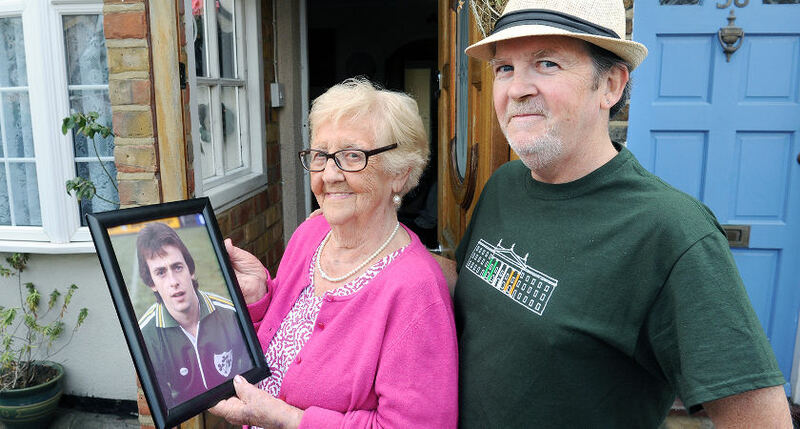 Can you help trace a photo of once-capped Austin Hayes in an Ireland shirt for his elderly Irish mother?